2017 was the hottest non-El Niño year on record worldwide. An unusually dry winter and spring and almost no rain all summer made for an extremely challenging growing season. Careful canopy management and vigilant green-harvests early in the season produced a small, but surprisingly good harvest. We began harvesting our Syrah September 10TH at Vigna Fonte Lattaia, 2 weeks earlier than usual and we continued with the Sangiovese the following week in our lowest elevations. 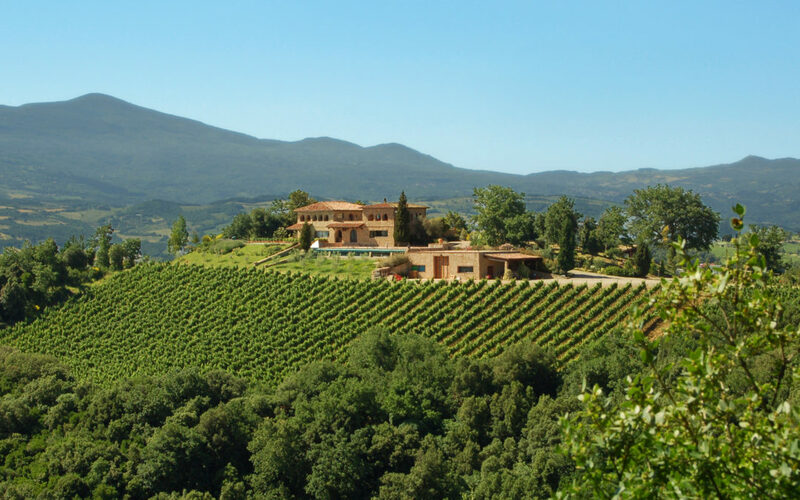 The average altitude varies by more than 150 meters between Terralsole vineyards Fonte Lattaia and Pian Bossolino which are often harvested several weeks apart even in normal years. Our careful organic practices paid with strong vines over-all, mostly resistant to the extreme temperatures. Vines converted to the Guyot training system did particularly well under the extreme conditions. “The dryness was more of a problem than the heat and the winter was much drier than usual. The vines actually had time to adjust to the heat so they adapted but at a point, with the dry conditions, they just stop growing.